Elmo's Tickle Hands Turns Anyone Into A Tickle Me Elmo | OhGizmo! Why just tickle an animated plush toy when this set of official Elmo’s Tickle Hands turns anyone into a Tickle Me Elmo? 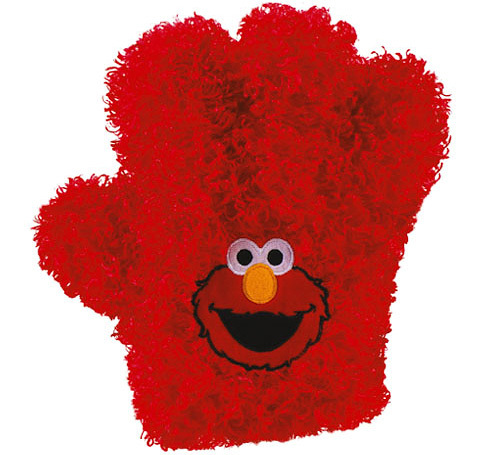 The furry gloves not only reproduce Elmo’s famous laughs and giggles when you touch someone, but they’ll also play his new The Tickle Hand Groove song which will probably be catchy the first 5 times, and incomprehensibly annoying the next 500. $30 from Fisher Price which should also help Elmo on his quest to become the most profitable lump of red fabric of all time. I now have a legit reason to molest women on the train and tell them I was just testing my Elmo Tickle Hands. I loved my tickle me elmo doll. It was my favorite for the longest time. These would be so cute to own and tickle people with if I was little again. Now it is just creepy. $30.00? You've got to be kidding! Just how old are you Jess? I was going through my e-mail and just saw this, I'm 24, why?